New Delhi: When in doubt, spring a fresh face. And in BJP's case, a fresh face with a Sangh background. This rule has helped BJP in the past, and it hopes, will do so this time as well. The party has chosen an unconventional candidate, one who is not even a full-time politician, for its Darjeeling seat. Raju Bista has all the prerequisites and more for BJP to win a seat. The sitting MP for Darjeeling S S Ahluwalia has created a sour atmosphere for himself and was jokingly called ‘outsider MP’ by the locals. Ahluwalia hardly visited his constituency in his 5-year tenure and was also absent when the pro-Gorkhaland movement went downhill. Knowing fully well that even the Gorkha Janmukti Morcha (GJM) cannot afford to support Ahluwalia again, Raju Bista is being fielded by the BJP. Both the GJM and Gorkha National Liberation Front (GNLF) have expressed support for Bista. But who is this political newbie BJP is banking on for Darjeeling? Raju Bista is not your traditional neta, not even a full-time politician. He describes himself as a 'social worker'. He is an entrepreneur and is the Managing director of a private company Surya Roshni. This company has an annual turnover of Rs 5000 crore and makes electric lights. The Delhi-based businessman has been conferred with the 'ET Most Promising Business leaders of Asia' award. Talking about his success, Bista says, "I am always hungry for success but not impatient. I have constantly evolved with time because the world we work in and the working condition are changing at a fast-paced rate. I take (the) calculative risk..." So has he taken a risk by agreeing to be a full-time politician, that too from a constituency where there's tangible discontent against the sitting MP from the same party? Much before he became a business tycoon, Bista claims, he was a 'social worker'. According to Bista, he joined an NGO back in the year 2000, around 12 years before he was elevated to the position of MD of Surya Roshni. Probably that is why, apart from being the business leader that he is, he still takes great pride in being Vice Chairman and trustee of the Surya Foundation, that operates from Delhi. He founded the 'Bharat Youth Club' with the pursuit to promote sports among Darjeeling youths. Bista also claims to have organised 'personality building events' for the last ten years, in remote areas of Darjeeling district for school kids, who otherwise had no access to formal training. Bista is originally from Manipur and has also given grants to the Sanskrit school there. His foundation also runs a 'Sainik School' for kids of the village dwellers. 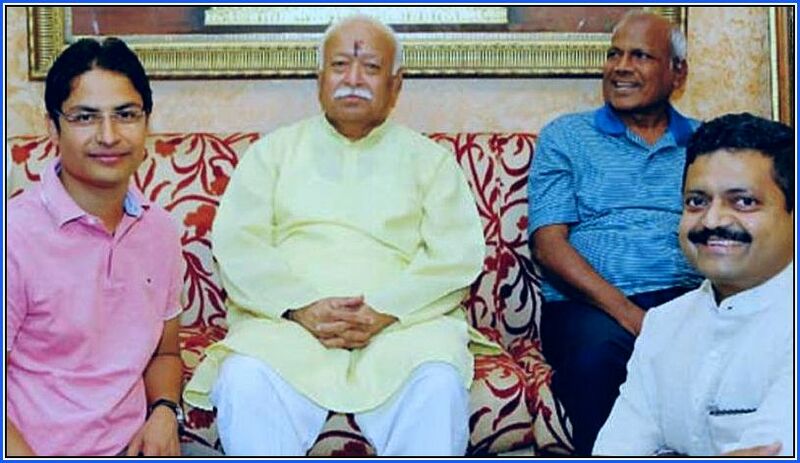 Bista joined RSS in 1996, and the Sangh ethos has primarily inspired his interest in public policy. The Surya Foundation has given grants to various 'Saraswati Vidya Mandirs', a school chain run by RSS affiliates. He has been publicly spotted in a Saraswati Vidya Mandir event in Ranchi, along with the chief minister and BJP leader Arjun Munda. The reflection of Narendra Modi's pet project 'Adarsh gram yojna' was incorporated by him while uplifting many tribal villages in Chhatisgarh. It is this Sangh background that motivates him to help Sanskrit schools in Manipur economically. Bista, in spite of his business background, has been a regular at many of the Sangh and Sangh affiliated events. He also has proximity to some of the key leaders in the RSS. His clean slate, a nationalist belief system, and pro-Sangh ethos have all helped him get the ticket from Darjeeling. But what clinched the deal was his Nepali origin. Darjeeling, in spite of being a part of Bengal, has been Nepali dominated. Him being a Kshatriya has also helped in clinching the deal. But what worked for him and even helped him gain the support of GJM and GNLF was his stated position where he has espoused for a separate Gorkhaland. Bista may be new to Indian politics, but he is an old hand when it comes to BJP's school of thought. No wonder then, the urban, suave business tycoon with a Sangh background and a nationalist-leaning was BJP's choice to replace SS Alhuwalia from Darjeeling. 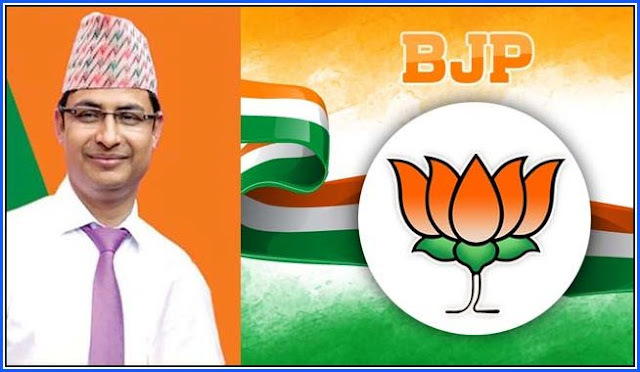 Meet Raju Bista, the unlikely neta BJP trusts over Ahluwalia, Raju Bista is not your traditional neta, not even a full-time politician. He describes himself as a 'social worker'. He is an entrepreneur and is the Managing director of a private company Surya Roshni.